From concept to alpha in 3 months. Wiggle was a personal project initiated to simplify the process of B2B fashion wholesale. 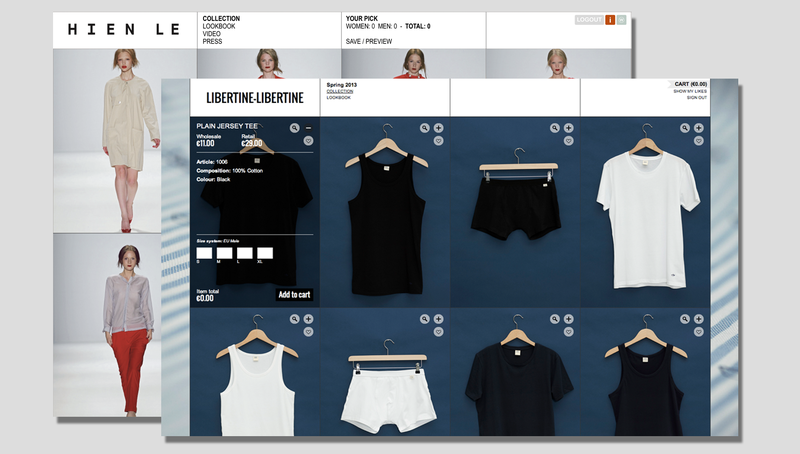 Starting from scratch, myself and two team members architected, designed and built a private alpha in 4 months, receiving notable interest from the fashion industry. As burgeoning start-up founders, we not only designed and coded the site, but also worked on things like business plans and vision statements, keeping objectives and visions clear, so the team was constantly in agreement on what to design and what success looked like. Further we spent considerable effort understanding the needs and wants of both buyers and sellers, in order to understand how we could build something valuable that could replace already well-establish (although laborious) workflows and industry standards. Finally, in the design of the site we worked through the numerous transactional challenges and interaction problems to come up with on-boarding and sales flows that were as simple and easy as possible. If a buyer or seller couldn't use the site out of the box, we considered it a fail. Making viewing a collection and ordering as easy as possible.